Which Webpages Should Have a Bot Versus Pop-Up Forms? In our world of constant, data-driven website optimization, we are always looking for the next great idea, tool, or hack to help improve bounce rates, time on site, and exit rates; however, too often conversion rates are left untouched. 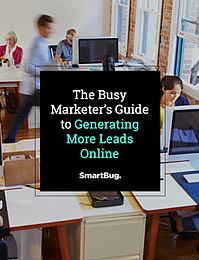 Your website is your 24/7 sales and marketing (and in some cases, customer support) machine, running in the background, keeping the lights on for your organization. If it’s not converting, then it’s not being utilized to its fullest potential. One of the tried-and-true methods for quickly improving conversion rates is utilizing pop-up forms in HubSpot, but the conversation on bots is gaining steam across the landscape. What are each of these tools, and how can each of them support your business objectives? Is one better suited for certain webpages? Let’s look at each of these tools in more detail and consider which webpages may be better suited for a pop-up form or bot. Note: Although this content is more suited to organizations hosted on the HubSpot CMS, some of these tips and descriptions will be useful to any CMS-hosted website. A pop-up form (as defined by HubSpot) is a way to create lead capture forms that engage new leads who are visiting your website. These pop-up forms are can be placed on any blog post, landing page, or webpage hosted on HubSpot. The pop-up form has gone through many iterations since its start back in the mid to late 1990s (the word “pop-up” still leaves a bad taste in people’s mouths). We have seen an improvement to its function over the years. In the HubSpot CMS, it is meant to be an extension of your inbound marketing strategy. 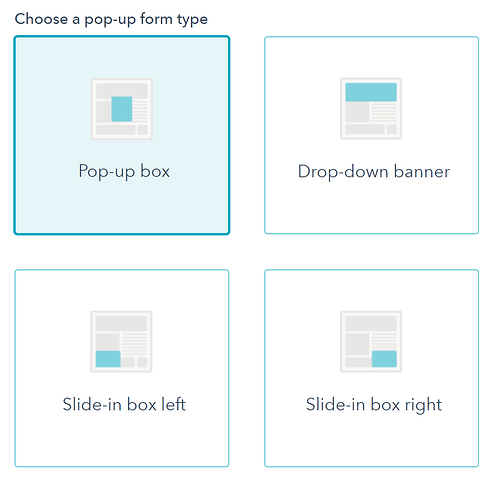 When used correctly, pop-up forms can enhance the user experience and help improve conversion rates. Along with that, only the centered pop-up box can be used with the exit intent trigger. Bots (as defined by HubSpot) allow you to set up automated responses when visitors reach out to you via chat on your website. Bots have stemmed from what we now know as “Live Chat,” where an actual human is behind the keystrokes helping assist a user with a particular question. Bots take this a step further and take the human out of the equation by providing automated, yet contextualized answers to users’ questions based on their current behavior and past data. 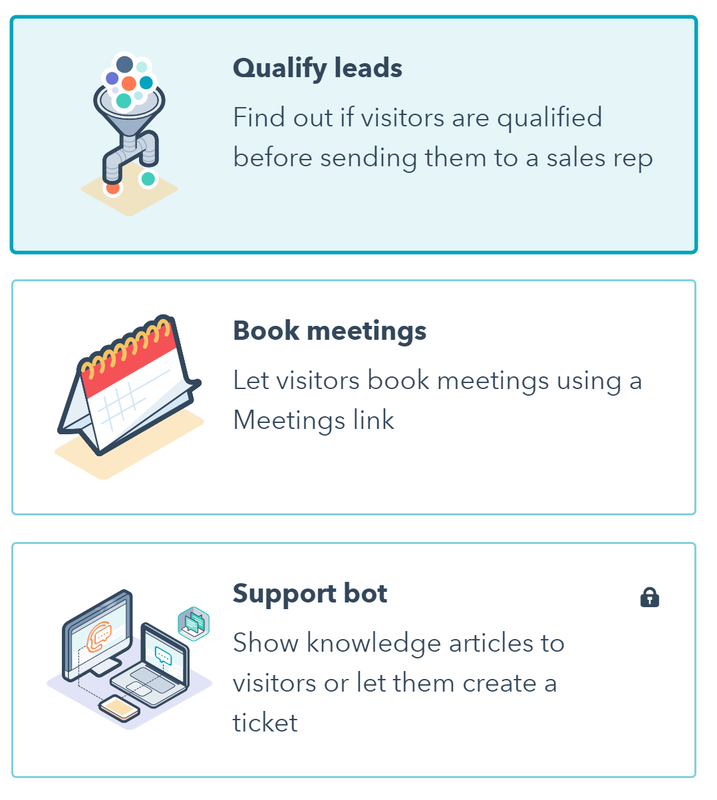 When implemented correctly, bots can save time and resources answering common questions about your product or service, or by assisting a customer or prospect with the information they are looking for, whether it is booking a meeting or getting an answer to a support question. Once you select the appropriate category for your specific bot, you have the ability to set up your responses or actions based on existing data you have about the user or contextual questions in light of how the user is responding. Which Pages Work Better with Pop-Up Forms or Bots? Now that we have some differentiators in place and a clear description of each of these tools in HubSpot, what website pages should use a pop-up form or a bot? If the end goal is improving conversion rates on certain pages, then instances with a bot may convert better than a pop-up form. Here’s my quick cheat sheet for you to consider for which pages to use a pop-up form or a bot. 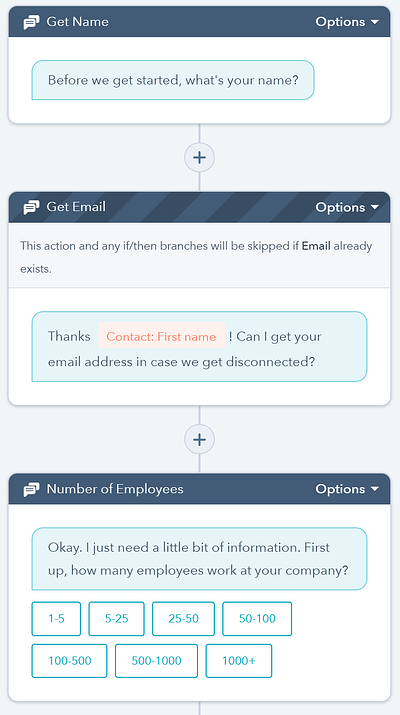 As you can see, bots and pop-up forms have a couple of similarities in terms of what pages they can be utilized on. Why? Because each of them (when used effectively and backed by data) can be utilized on those pages to help cater to your specific goals. Your organization could be promoting a brand new e-book or wanting to push more demo submissions or meetings with sales. Each of these tools can help you explore and push your conversion rates to the next level. 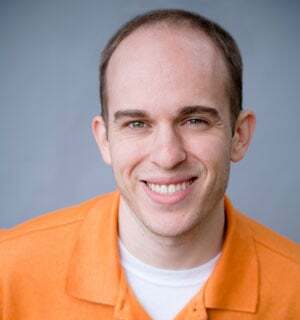 Aaron Riddle is a Digital Project Manager at SmartBug Media. He has more than 9 years of marketing and project management experience helping organizations succeed in their digital marketing goals and objectives ranging from not for profits to large technology-based groups and businesses. Read more articles by Aaron Riddle.